One of our clients Mr. Wu called us a few weeks ago saying that there was a bunch of bees hanging around in his rooftop. 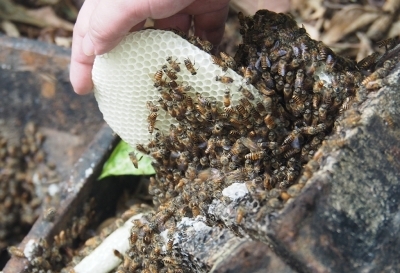 The next day, we went to the house together with a beekeeper – Mr. Wong to relocate the bees onsite. They seemed to belong to a small and young bee colony and their hive was probably damaged by the typhoon. As the bees were only in a small group, staying at the rooftop might made them easily exposed to wasps. So once we located the queen bee among the others, we slowly put her into a bee bag, attracting the rest of the bees to follow and fly into the bag as well. The bees have been well taken care of by beekeeper Mr. Wong, not only did he prepare a new bee box for them but also fed them with pollen. The house owner Mr. Wu told us that he did inquire from related government departments before about possible ways to handle the bees, but the only answer he got was direct killing with chemicals. Of course the loving Wu’s family eventually came to us for help, eventually saving a dozens of lives. 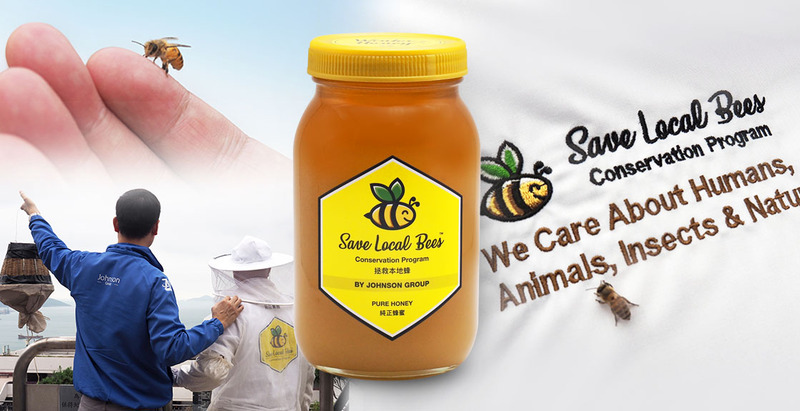 This was a complete free service and all the costs were supported and covered by the sponsorship from clients who previously bought honey from our store. Thanks to our supporters, the Save Local Bee programme is running smoothly and the salvaged bees are all safe and sound.